The round-up occurred on Sept. 16, 2017 at the Priddis and Black Diamond/Turner Valley transfer stations. These transfer stations are owned by the MD of Foothills and typically only collect regular household garbage, along with leaves, yard waste, and branches from spring – fall. 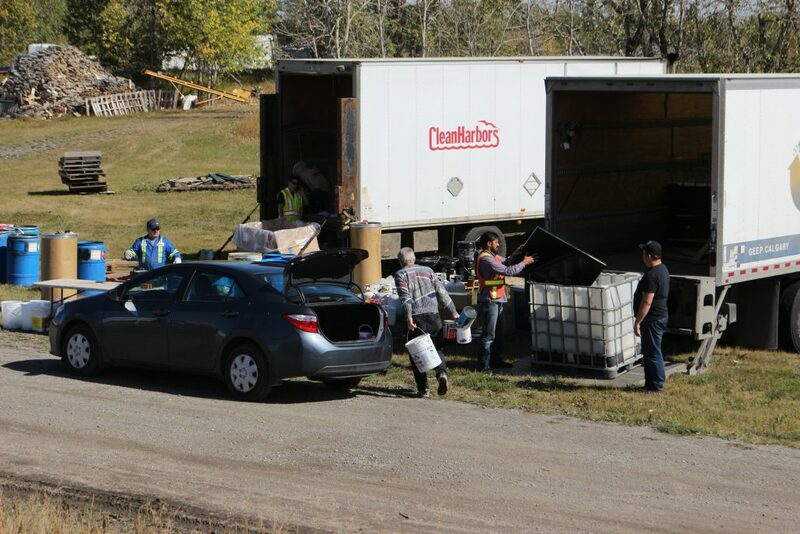 The roundup was partially funded by grant money from the Alberta Recycling Management Authority, with the Foothills Regional Landfill & Resource Recovery Centre (LRRC) paying the remaining costs. This round-up has been an annual event at these transfer stations for the last 3 years.